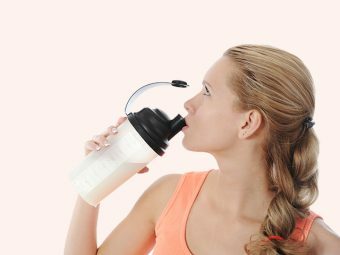 How To Help Your Teen With Weight Management? At 12, Kelly was a happy-go-lucky kid. She was active, fit and maybe even skinny. Now, at 15, Kelly refuses to leave her room except to go to school. And she hates going to school or hanging out with her friends. She eats little and is cranky every time her parents ask what’s bothering her. What happened to Kelly? Well, she gained 10 pounds in the last one year. Ever since, there is no trace of the happy, active teen her family and friends knew. Unexpected teenage weight gain is not easy to handle. 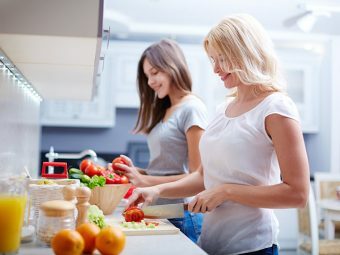 MomJunction tells what causes unexpected weight gain and how you can help your teenager deal with it. According to a study in the American Journal of Public Health, (1) children who suffer from depression are more likely to gain weight. Approximately, five percent children suffer from bouts of serious depression during adolescence. The fat teenage weight gain syndrome can cause depression too.Changes in appetite and weight are common symptoms of depression. 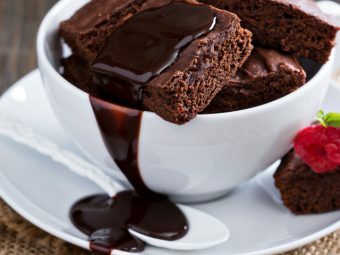 Some develop emotional eating behavior while others experience an increase in appetite. Restoring the emotional wellness of your teenager can help her regulate her weight. According to an article in the Journal of the American Medical Association (2), some medications may cause weight gain as a side effect. Antipsychotic drugs are more likely to cause weight gain. The weight gain range from 9 to 19 pounds within 10 to 12 weeks of the treatment. Some contraceptives also cause weight gain in teens. Hypothyroidism (3) is a disease that commonly affects middle-aged women, but children and teens may suffer from it as well. It occurs when the thyroid gland does not produce adequate amounts of hormones that affect a person’s metabolism. Additional symptoms of hypothyroidism include increase in sensitivity to cold, constipation, fatigue, and dry skin. Teens who suffer from hypothyroidism may also experience delays in growth and tooth development. 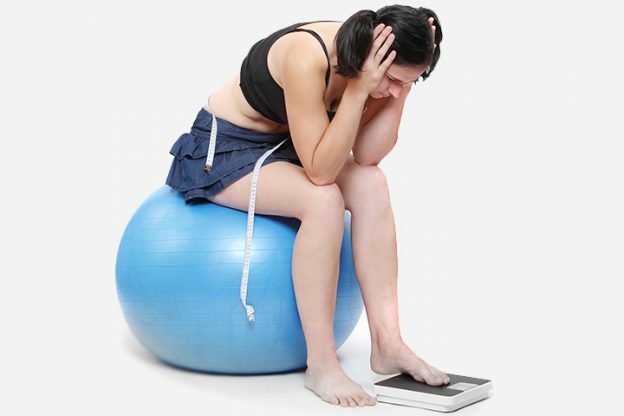 The teenage girl weight gain can result in Polycystic ovary syndrome. It is a condition in which a woman’s body produces excessive amounts of androgen hormone. Symptoms of the Polycystic ovary syndrome include excessive hair growth, obesity and heavy or irregular periods. For most of the teens, self-motivation is the key to making lifestyle changes. Telling her what to eat and what to avoid will be met with resentment. It can also damage your teen’s self-esteem, hurting her perception of her body and weight. Here are some safe things that you can do to help your child deal with weight issues. Clean up your refrigerator and pantry to make your home a haven for healthy eating. Teens grow rapidly and have an enormous appetite. They will eat whatever they can find. 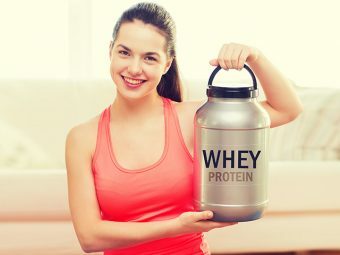 So, stock on nutritious foods like fruits, vegetables, cereals, and yogurt. Teach your children about the importance of healthy eating and exercising. Remember, actions speak louder than words. You should lead by example, and not just talk about abstract virtues. Be open to discussing your child’s body and weight concerns. Your teen may tell you what frustrates her about her physical appearance. You should try to have a productive conversation. Make yourself available to listen without giving any unsolicited advice. A teen should never go on a diet. Teenagers need ample nutrition to support healthy growth and development. Encourage her to make healthy food choices and be physically active. 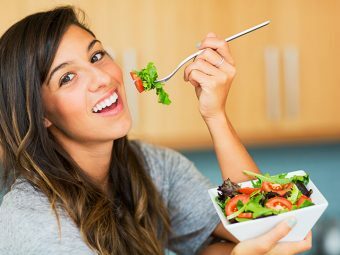 These simple teen weight gain tips can help them to enjoy good health and keep weight woes at bay. How did you handle unexpected weight gain in your teens? Tell us in the comment section. How To Deal With Kids' Tantrums? Fetal Hiccups: What Do They Mean And When To See A Doctor? MomJunction provides generic information on health for educational purposes only. It is not a substitute for professional health services, and cannot be used as a replacement for personalized health consultation. If you or your child has any health concerns, you should consult a healthcare professional. Please read our Disclaimer before proceeding to use our website.